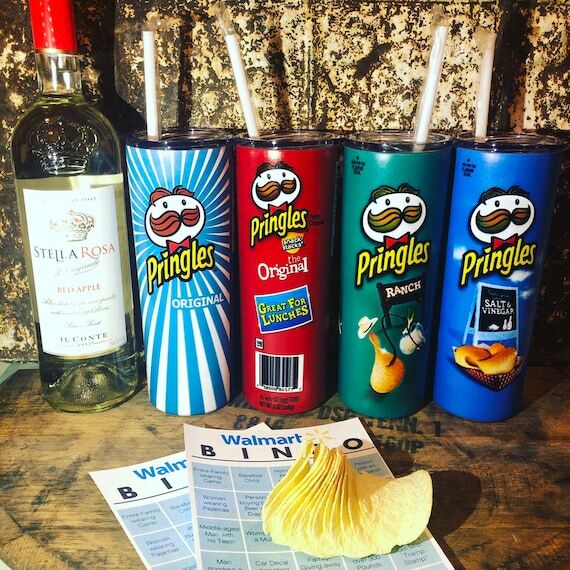 A few weeks ago, a story went viral about a woman in Texas who was banned from a Walmart....for driving a motorized shopping cart around the parking lot while she drank WINE out of a PRINGLES CAN. Her tumblers aren't made from actual Pringles cans, but they have the labels printed on them....and if you want one. oh, BTW, they're $30 each. Here's a picture.